In the wake of its latest nuclear test, Pyongyang has reportedly increased its uranium enrichment and could have enough radioactive material for roughly 20 bombs by the end of the year. Russia Kicks Pornhub to the Curb, Trump Gets the Blame? Russia’s recent ban on adult entertainment site Pornhub has given certain Russophobes the chance once again to, somehow, equate Moscow with Donald Trump. What’s the deal? The past month has seen a marked increase in cooperation between Russia and China on defense and national security issues. And while it's early to speak of a military alliance between the two countries, experts say that as long as the dangers posed by terrorism and US-led unipolarity continue to grow, so too will Russian-Chinese cooperation. 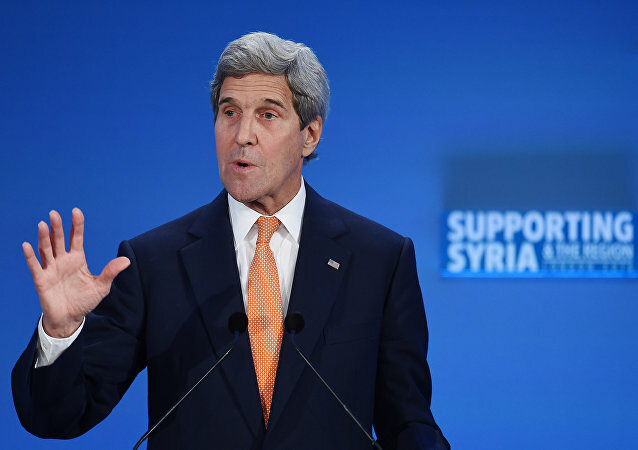 Tensions are simmering in Washington regarding the deal struck by US Secretary of State Kerry and Russian Foreign Minister Lavrov over Syria. There appears to be a rift within the Obama administration with the "party of war" opposing the idea of US-Russian cooperation. A meeting between our Foreign Minister Sergei Lavrov and EU High Representative for Foreign Affairs and Security Policy Frederica Mogherini will take place next week on the sidelines of UN General Assembly session in New York, according to Russian envoy to EU Vladimir Chizhov. The EU is facing an 'existential crisis' exacerbated by the ongoing refugee crisis, terrorism threat, social inequality, high unemployment and the UK's withdrawal from the bloc. The UK could deny a slice of its annual US$15.8 billion foreign aid budget to countries who refuse to take back foreign prisoners from UK jails, ministers have suggested. German Chancellor Angela Merkel and Francois Hollande met in Paris, September 15, for talks ahead of a crucial meeting of EU leaders - except Britain - in Bratislava, Slovakia, where the migrant crisis and Brexit will dominate the agenda. George Galloway has slammed former Labor MP and Iraq invasion supporter Jack Straw, after a number of emails were leaked. Last week, North Korea again demonstrated that it has no intention of giving up on its nuclear ambitions, persisting with nuclear testing despite sanctions and concern by the international community. Commenting on the tense situation in the region, independent journalist Evgeny Radugin explained what Moscow's long-term response is likely to be. 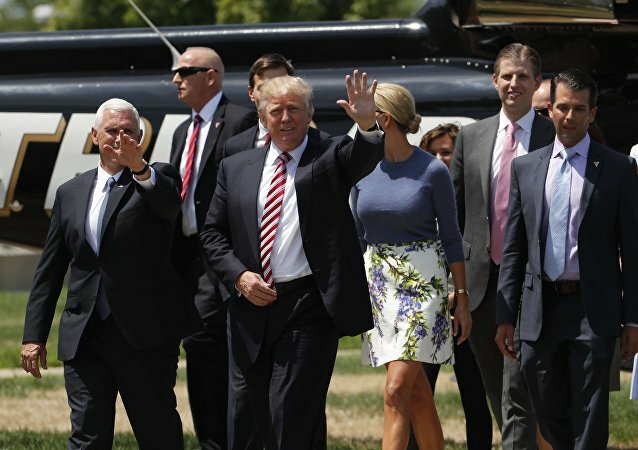 A 'post-American' and 'post-dollar' multipolar world is struggling to be born. In an interview with Sputnik geostrategic analyst Mathew Maavak and CNTV editor Tom McGregor shed light on current geopolitical trends and prospects of Eurasia's integration process. The German embassy in Turkey was once again been temporarily closed after fears of demonstrations following the publication of a picture of Turkish President Recep Tayyip Erdogan on the front cover of a German magazine, describing him as a "Dictator." 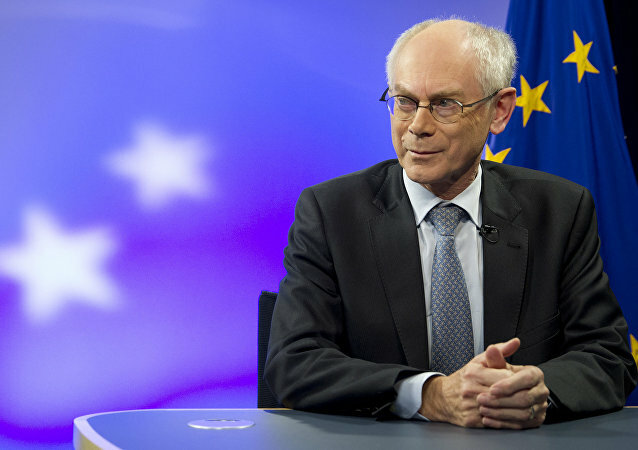 Former European Council President Herman Van Rompuy, has blasted the UK’s decision to exit the EU as "a political amputation of the first degree." He's warned that the EU will now focus on other issues, leaving no room for official Brexit negotiations for at least 12 months. 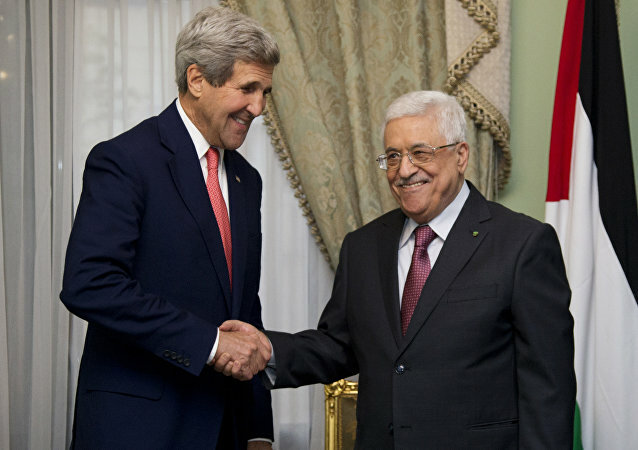 Palestinian leader Mahmoud Abbas will arrive in New York as the head of a large delegation on September 18 and will meet US State Secretary John Kerry and Egyptian President Abdel Fattah Sisi, according to Palestine’s Ambassador to Russia Abdel Hafiz Nofal. 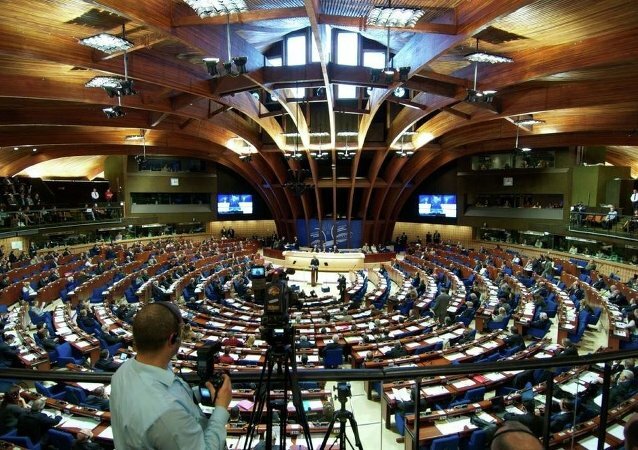 On Monday, Foreign Minister Pavlo Klimkin warned that Ukraine might walk out of the Council of Europe's Parliamentary Assembly (PACE) if the Russian delegation returns to the body. Commenting on the threat, Russian experts suggested that Ukrainian officials would have to be extremely short-sighted to follow through with such a ridiculous gesture. The announcement that the UK will press ahead with the controversial French-Chinese new nuclear power station at Hinkley Point in southwest England brings to an end the diplomatic standoff caused when new Prime Minister Theresa May put a halt to the final decision in July. On Tuesday, President Poroshenko raised eyebrows when he said that "God willing…Ukraine would be given another $1 billion tranche from the IMF," making the sign of the cross gesture as he said it. But does the country need more IMF money? As journalist Maxim Kononenko points out, all its loans have done so far has been to impoverish Ukrainians. The foreign ministers of the P5+1 group of countries will discuss the Iran agreement on September 22, on the sidelines of the UN General Assembly gathering in New York. After leaving office, former President George W. Bush has kept himself busy with a surprising hobby, and he plans to release a book of US military veterans' portraits next year. 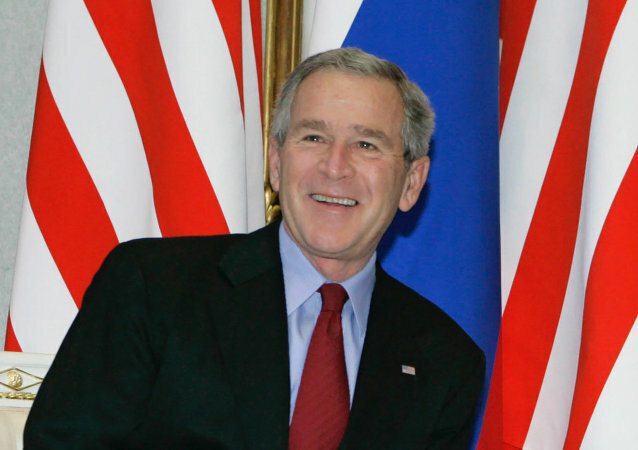 But Dubya's 2003 invasion of Iraq -- which endangered more than 100,000 US servicemen and women's lives -- has been widely condemned as a massively deadly debacle.